Deliver the knock out power of Vitamin K Oxide. Biopelle presents a revolutionary family of products to promote healing and improve the appearance of your skin. 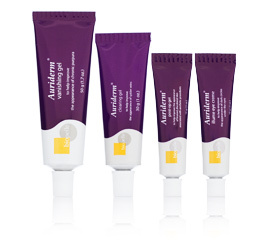 Auriderm® is an innovation in cosmetic care. Originally used for bruising that resulted from aesthetic procedures, Auriderm has been proven valuable in a number of conditions where there is unwanted hemosiderin or a weakness in vasculature. Using the power of Auriderm’s Vitamin K Oxide, you can kick start your body’s healing process by adding topical Vitamin K Oxide directly to the affected area to actually speed up the most critical step in the body’s natural bruise resolution cycle. The result is that bruising goes away in about half the normal time.